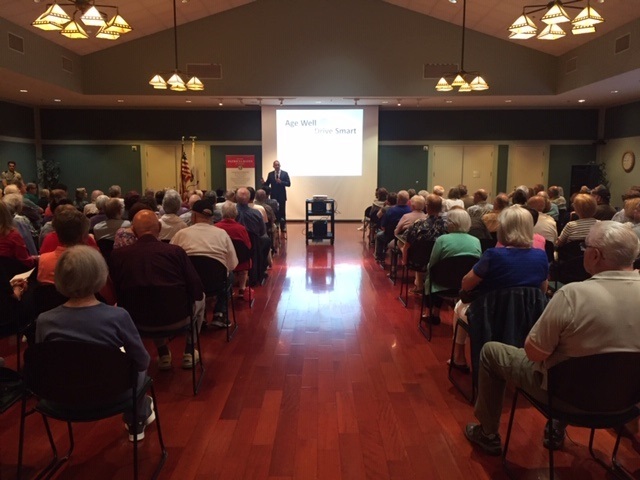 The refresher class, “Age Well, Drive Smart,” was held from 9-11 a.m. and geared toward drivers who are 55 and older. The class is meant to cover the rules of the road, safety tips, street signs and advice on age-related physical changes and how to adjust to them to stay safe, according to a news release from the senator’s office. The class was one of two held that day; another was held in Laguna Hills from 1-3 p.m. Both classes filled up quickly when they became available, according to the release. The American Association of Retired Persons (AARP) states that by 2029, roughly a quarter of drivers will be 65 or older. Older drivers deal with a number of vulnerabilities such as fragility, which increases with age. Older drivers might also have increased difficulty reading signs, road markings and small lettering.